Float therapy, also known as REST, will allow you to achieve mental and physical well-being, explore consciousness and, inspire creativity in and out of the tank. 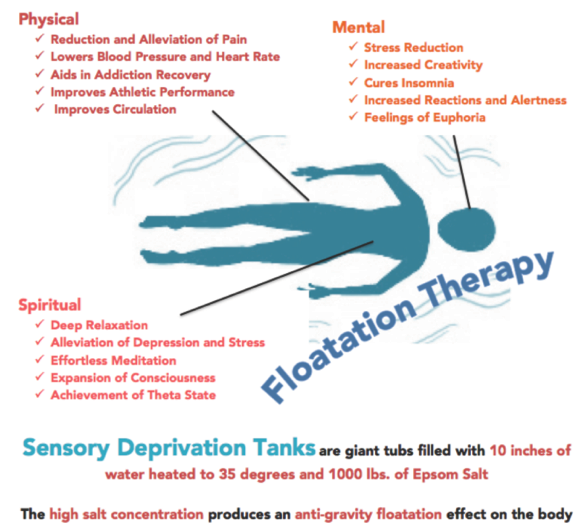 Flotation therapy was invented in the 1950s, by medical practitioner and neuropsychiatrist John C. Lilly. It is based on a scientific approach to deep relaxation called “Restricted Environmental Stimulation Technique” or REST for short. 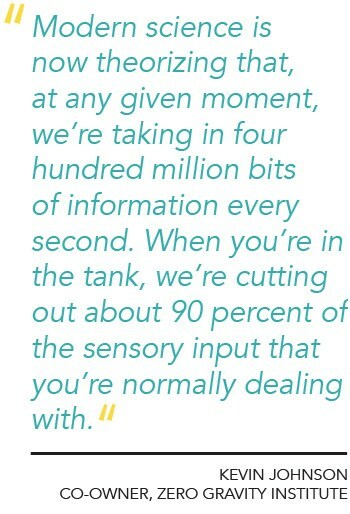 It has also been called sensory deprivation therapy, but has evolved into what we now call floating. 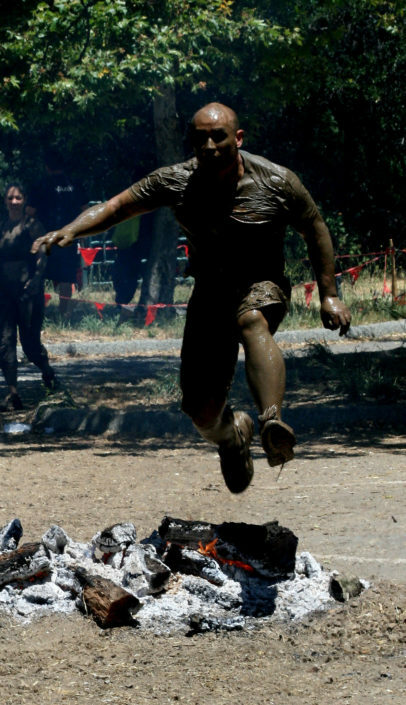 Let’s face it “Floating” sounds a lot more fun! 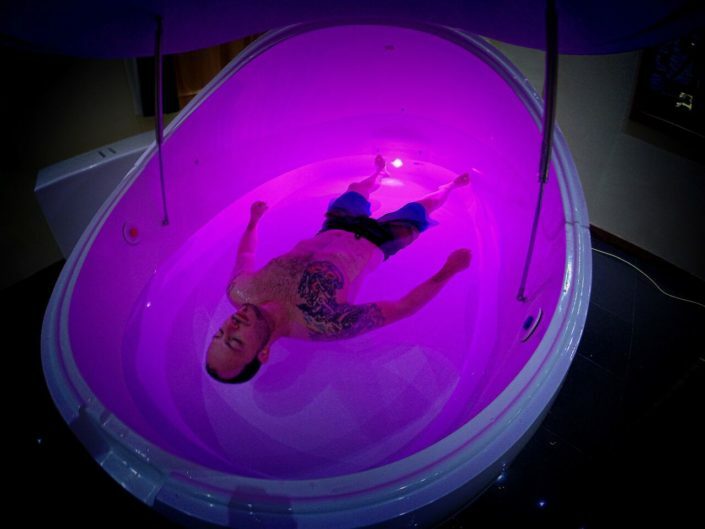 Book a float now for the ultimate in peace, tranquility, and relaxation. 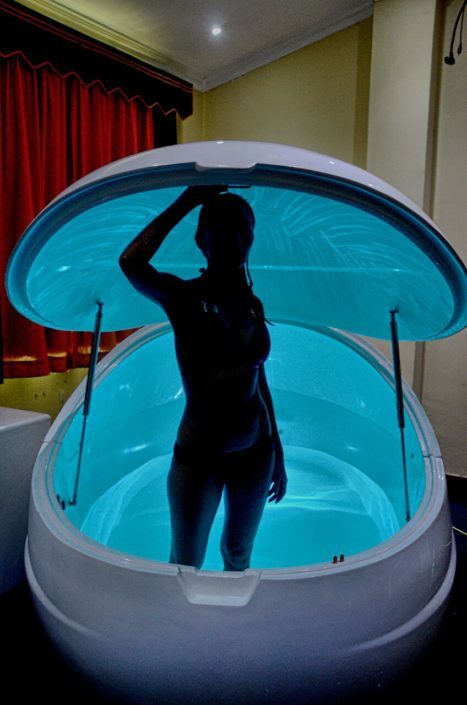 For 60 minutes, you will effortlessly float in a private pod filled with 10 inches of water and 1,000 pounds of Epsom salt. The concentration of the Epsom salt creates a buoyancy that is difficult to replicate in any other therapeutic modality. 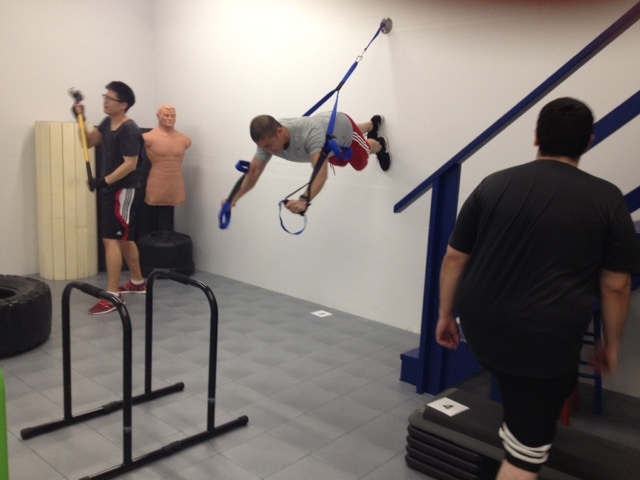 This weightlessness allows the muscles and joints to relax, free from all tension, gravity, and pressure. The absence of light and sound provides the space the mind needs to reset and unwind. For 60 minutes, nothing becomes everything.